Thunder Mountain: this saddle hangs above the entrance to an abandoned ranch in Southern California. 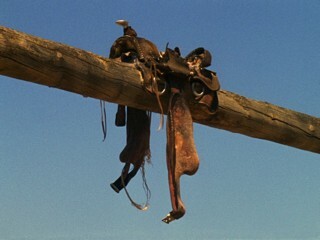 I like the saddle suspended high up against the clear blue sky and the weathering of the leather. I find it uplifting, an image full of potential.